Air Jordan VIIs like these were originally released in 1992. In the years since, they've inspired retro releases from Nike — and unsanctioned imitators, like this pair of Qiaodan Sports' women's basketball shoes. A Chinese court says that Qiaodan Sports' logo of a basketball player's silhouette does not infringe on Air Jordan's famous "jumpman." 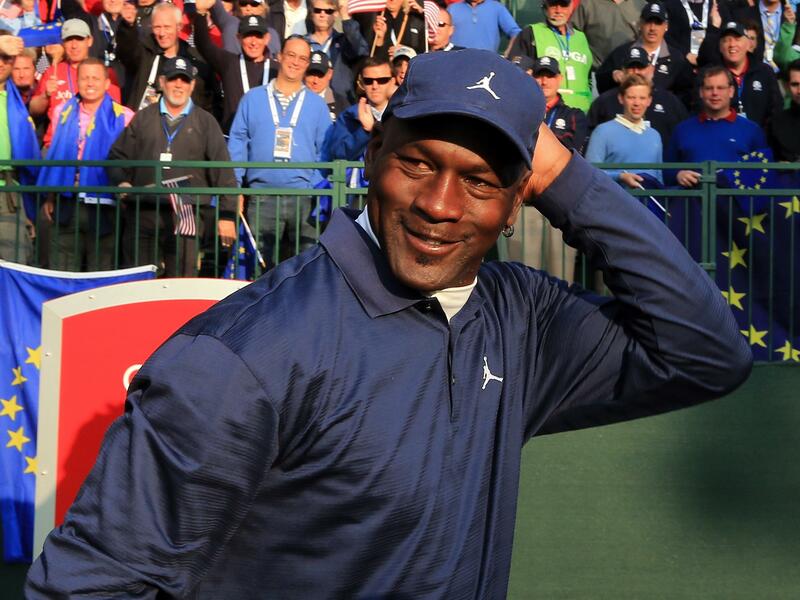 An on-brand Michael Jordan at the 2012 Ryder Cup, a few months after he sued Qiaodan Sports for the first time. The name of the chain is Qiaodan (pronounced cheow-dahn). It's the Chinese transliteration of Jordan — as in Michael Jordan, the six-time NBA champ who has a famous line of shoes called Air Jordans. But the Chinese company Qiaodan Sports has no relation whatsoever to Nike's Air Jordan brand. They are totally separate. One store employee says people who come in usually know the difference, and if they don't, they just have to ask and the staff will explain. But many people don't think to ask — because they assume the companies are connected. Outside a store in Shanghai, two customers told NPR that they didn't know about the difference until the lawsuit hit the news. "We used to buy Qiaodan because we thought it had something to do with Michael Jordan," Alex Kong says. Now, he buys them a little less often. Another customer asked the big questions when we spoke with her: "Why do they use the same name? Are they allowed to use it?" As for why they use the same name, we can't speculate. But they are indeed allowed to use it. Here's how. When Nike expanded the Air Jordan brand to China back in the 1990s, it only registered the English version of "Jordan." A few years later, a family-owned shoe company from Fujian province came along and registered "Qiaodan," the Chinese version. Since then, Qiaodan Sports has registered dozens of other trademarks that seem related to Michael Jordan, including its own silhouette logo and the names of Jordan's two sons in both Chinese and English. Qiaodan Sports has since expanded to about 6,000 locations across China. It does hundreds of millions of dollars in business each year. 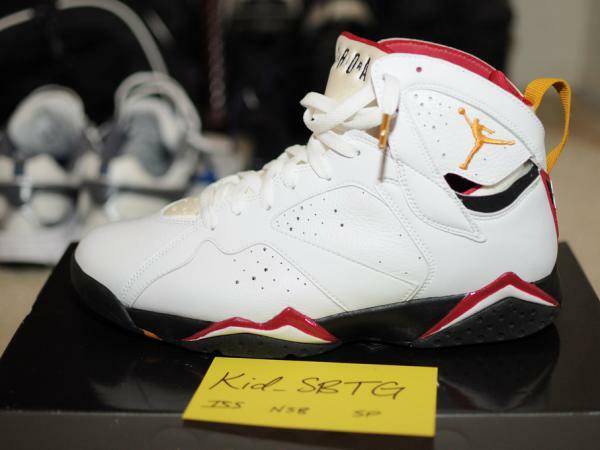 Jordan sued the company in 2012. In a video explaining his take on the case, he emphasizes how much his name means to him. "It's something that I own. When someone takes advantage and misrepresents that, I think it's left up to me to protect that," he says. "I have no other choice but to turn to the courts." Qiaodan countersued in 2013, saying Jordan's original suit had prevented it from going public. The first rulings came down in April. The Beijing High People's Court found Jordan's claims against Qiaodan to be insufficient. Jordan asked for a retrial; earlier this summer, he lost that too. Attorney Dan Harris has dealt with this time and again. He says Jordan ran into a problem that's common among American companies. "Most countries, including China, give trademarks to whomever files for it first," he explains. "But [in] the United States, it's whoever uses it first." His firm, Harris Moure, specializes in helping American companies wade the waters of Chinese law. His firm gets a call or two a month about this exact issue. "They become very unhappy when we have to tell them that instead of hiring us to sue that company, they should hire us to negotiate with that company," Harris says. "That is not what they want to hear." Many American companies have run into this problem, including Gucci, New Balance and Tesla. Apple had to pay $60 million to a Chinese screen-maker called Proview for the trademark to the iPad. Some companies aren't even planning to sell their product in China — but even manufacturing product there can result in issues if the company hasn't secured the trademark. Since 2001, China has had a law that protects international trademarks that are very well-known in China. Starbucks won a case this way, against a Chinese coffee shop chain called Xingbake (xing means "star" in Chinese, and "bake" sounds similar to "bucks"). But victories for American companies are still rare. Jordan's camp says it plans to appeal to China's Supreme Court. Harris thinks the superstar has a long row to hoe. But maybe that persistence shouldn't be a surprise coming from the guy who's famous for saying, "I can accept failure ... but I can't accept not trying." Copyright law is complicated enough as it is. But many U.S. companies have run into extra trouble trying to do business in China, where trademark laws are completely different than they are here. NPR's Becky Sullivan has this story of one high-profile dispute, where a Chinese company is trying to be a little too much like Mike. 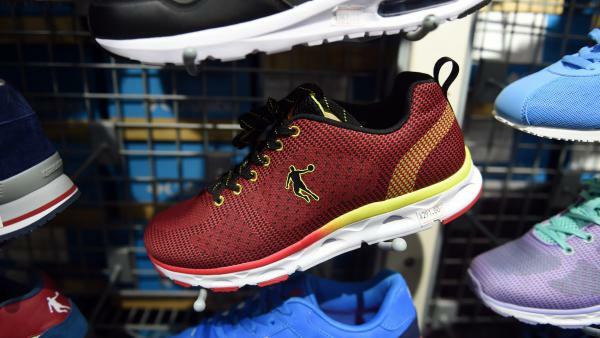 BECKY SULLIVAN, BYLINE: At this store outside of Shanghai, bright lights shine on brightly colored sneakers for basketball and running - neon shades of pink and green and orange. On every pair of shoes, every piece of clothing and blown up huge on the wall is the store's logo - the silhouette of a basketball player mid jump, his outstretched arm holding a basketball. Sound familiar? Here's the name of the chain. SULLIVAN: Qiaodan - it's the Chinese transliteration of Jordan, as in NBA superstar Michael Jordan, who, as you may know, has a famous line of shoes called Air Jordan. But the shoes and the logo here aren't exact replicas. In fact, the Chinese Qiaodan has no relation whatsoever to the American Jordan brand - none. They're totally different companies. Many customers don't even think to ask if there's a connection; they assume there is one, like Alex Kong did before the lawsuit made headlines. ALEX KONG: (Speaking foreign language, through translator) We used to buy Qiaodan because of Michael Jordan, but later we found out that Qiaodan is a Chinese brand. SULLIVAN: Another customer, Ms. Lu - and by the way, Chinese people are often reluctant to use their full names with the news media - she also thought that they were the same company at first, and puzzled when we asked her about it. LU: (Speaking foreign language, through translator) Why did they use the same name? Are they allowed to use it? SULLIVAN: They are, and here's how. When Nike and Jordan expanded the Air Jordan brand to China back in the '90s, they only registered the English version of Jordan. UNIDENTIFIED MAN: Air Jordan from Nike. SULLIVAN: A few years later, a family-owned shoe company came along and registered Qiaodan, the Chinese version of Jordan. So Jordan sued the company in 2012 and posted a video explaining his take on the case. MICHAEL JORDAN: I've always thought my name means everything to me. And it's something that I own. When someone take advantage or misrepresents that, I think it's left up to me to protect that. I have no other choice but to turn to the courts. DAN HARRIS: And he has lost at least twice. SULLIVAN: This is Dan Harris. He's an attorney at a law firm called Harris Moure. They specialize in helping American companies navigate the Chinese market. Earlier this year, a court in Beijing ruled against Michael Jordan. He asked for a retrial, but lost again in June. Harris says Jordan ran into a common problem that Americans have with trademarks in China. HARRIS: Most countries, including China, give trademarks to whomever files for it first. But the United States it's whoever uses it first. SULLIVAN: Harris' firm gets calls about this all the time, usually from American companies complaining that a Chinese company is ripping them off. HARRIS: And they become very unhappy when we have to tell them that instead of hiring us to sue that company, they should hire us to negotiate with that company. That is not what they want to hear. SULLIVAN: This has actually happened to some really big companies - Gucci, New Balance, Tesla. Even Apple had to pay $60 million to a Chinese company who owned the trademark to the iPad. Since 2001, China has had a law that protects international trademarks that are well-known in China. But the bar is really, really high. Starbucks won a case this way. But Harris thinks now that Michael Jordan has lost twice, he has a long row to hoe. HARRIS: He says he's not totally finished yet and that he intends to keep pursuing it. SULLIVAN: Jordan plans to appeal to China's supreme court. Maybe that shouldn't be a surprise from the guy who's famous for saying I can accept failure, but I can't accept not trying. Becky Sullivan, NPR News. Transcript provided by NPR, Copyright NPR.